When people imagine modern businesses, they think about offices replete with cool tech. In reality, a lot of businesses are making some pretty severe mistakes with their IT infrastructure that can harm their business in ways they perhaps hadn’t considered. This is a quick but detailed look at many of the fails such businesses make with their tech. Don’t make the same mistakes with your business! The performance of your business technology is extremely important. If things don’t run quickly and smoothly, then general business performance will suffer. A lot of business owners, in an attempt to save on startup costs, will place a premium on savings over performance. While it is possible to spend way more than you need to on, say, office computers, not spending enough is actually a fairly common business mistake. You don’t want to be stuck with computers that grind to a halt whenever the employee tries to open new programs. Productivity will suffer. Don’t be tempted to cut corners, and make sure you’re also investing in a good Internet service. Even when you get some very good tech, the fact remains that these things tend to have a life cycle. Some will say that you need to replace computers every three or four years; while good maintenance can extend that lifespan by quite a good measure, there’s no denying that the vast majority of computers (unless you really spend a lot on some real beasts) will start to show signs of slowdown around this time. Companies who have the means to do so should consider replacing tech around this time; otherwise, start investing in maintenance to bring them up to speed. Beware that maintenance costs can, over time, exceed the cost of simply purchasing new computers. So if you’re in a position where you need to replace tech, then you need to work out what to do with the old tech. It could be worth keeping some around for backup purposes, or finding less performance-heavy tasks that can be assigned to them. But, in general, it’s best to get rid of them responsibly. Otherwise you’re just cluttering the office with tech you’re not going to use anymore! Throwing them away isn’t the answer, as tempting as it is to do away with the problem as quick as possible. You can resell that old tech to make a few extra bucks for your company, or even look into professional recycling. Simply throwing this stuff away isn’t just a waste of opportunity and cash; it’s also dangerous for the garbage collectors, as they often contain hazardous materials. If you’re really stuck when it comes to your business IT needs, then you should probably consider hiring specialized assistance. This is a popular option for startups, as it saves on a lot of costs. After all, even hiring a part-time, in-house IT professional will far exceed the costs of getting another business to assist you. Take care to consider your options, because wherever your business is located, there’s bound to be a plethora of IT services. One thing you should keep in mind is the specific work you do. Some companies will be better equipped and trained to deal with one type of business over another. So let’s say, for example, your business is a financial one. In which case, you would want to consider looking into IT support for financial services. People talk about the cloud as though it were some newfound omniscient being to which we must always pay homage and appease in whatever way it demands. That is to say, people seem to think that every business should be using the cloud almost exclusively, lest they fall behind and become completely irrelevant in a few years (or even in a few months, as some particularly zealous cloud fans may claim). 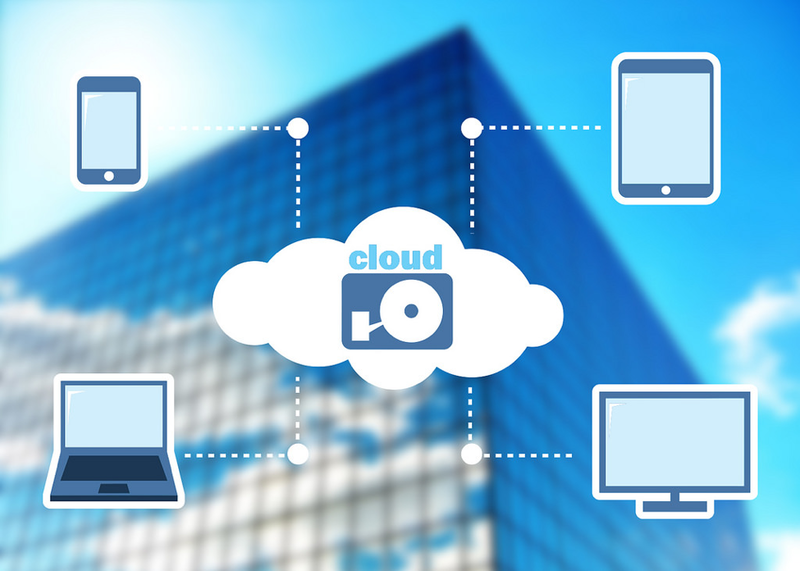 And yes, there’s no denying that the cloud is tremendously useful for businesses. This is especially true for startups that need to save on IT costs, as it provides you with a lot of the benefits of having your own flexible and accessible server without the upfront costs of building one yourself. You can look into automated backup programs that will help back things up to both the cloud and to physical storage devices. An outsourced IT service can also assist you with the backup process if you're working with the right one. No, we still haven’t progressed past the point where we no longer have to worry about power surges, thunderstorms, outages, and spikes. Businesses that are using tech heavily - i.e. pretty much every office-based business that is using more than, say, three computers at any given time - need to invest carefully in power protection. A lot of businesses use very cheap and simple power strips that simply don’t offer enough protection for their hardware. This isn’t just something that’s prevalent in startups - even established businesses tend to use surge protectors and the like that are at least five years old. When electrical disaster strikes, it’s not just that computers will suddenly turn off - data may become corrupted, or, worse, the hardware itself may become so. Install proper power protection methods to ensure you don’t lose too much when the electrical infrastructure of your office fails you. Do you think that your business is too small, too unassuming and off-the-radar, to suffer some form of cyber attack? You may, in fact, be at even more risk, precisely because a lot of cybercriminals prey specifically on smaller businesses that they suspect may be a bit lax when it comes to cybersecurity. Don’t assume you can’t be a target. There are fiends out there who want to get their dirty paws on your customer and client data, as well as your trade secrets. You need to ensure your company has strong cybersecurity measures and that all your employees are properly informed of the risks and security procedures. Speaking of employees, don’t just assume that the age we live in means that every employee will be completely expert when it comes to using computers. The fact is that a lot of business tech is actually underutilized. The sheer amount of work you can get done on these things is incredible, but the most time-saving and useful methods are usually not the obvious methods. If your employees become more learned about the software and hardware they’re using, then their output can increase by mind-boggling amounts. Perhaps you should think about getting more IT training to ensure your employees can really harness the true power of the tech you’ve invested so much in.